A sexual harassment report, viewing pornographic material, and two medical calls kept campus police officers busy in recent weeks. 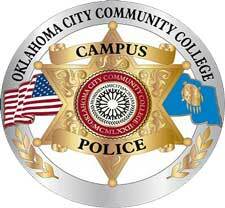 Around 9:05 a.m. on Jan.7, an OCCC female student, 18. went to the Campus Department to file a report about being harassed when she was walking to the campus. Her name was redacted from the report. Based on the report, she said a Hispanic man wearing a gray shirt and driving a black Ford Mustang kept following her and observing her while she was walking to the Main Building. Then, the suspect rolled down his window and offered her $100 to tempt her get into his car, she reported. OCCC police officer Gordon Nelson said in the report the suspect vehicle was identified on the surveillance camera footage around 7:37 a.m. driving slowly on Faculty Circle. The car stopped at the stop sign for nearly 30 seconds, and then stayed in the intersection where the student just walked away from for nearly 15 seconds. There were no cars around to make the driver stop for that length of time, Nelson reported. The suspect car left the campus at 7:38 a.m.
On Jan.16, A male visitor, 33, whose name was redacted from the report, was noticed using a campus computer to view pornographic websites around 4:20 p.m. at the OCCC Welcome Center. Officer Jeremy Bohannon reported he asked the suspect to turn off the computer and go with him to the Campus Police Department. The suspect had been issued a previous notice to leave campus on June.17, 2015 for using OCCC computers to look up inappropriate material, Bohannon said. The suspect was escorted off campus after his photo was taken and one other notice to leave campus was issued, which will be in effect until July 16. Three medical calls also required attention. On Jan 8, OCCC officer Patrick Martino was dispatched to a medical call to VPAC 121 at the Visual and Performing Arts Center. He said when he got to the scene, he saw a female student, 19, lying down. The student said she thought she had a heart attack, Martino said. EMSA came to the scene shortly and transported the student to Presbyterian Hospital. At 12:11 p.m. Jan 15, there was also a medical report involving to a female student, 18, who passed out and hit her head on the floor in front of academic advising. The student was conscious when officers David Madden and Jimmie Watts went to the scene. Watts reported that the student said she had not eaten all day and asked whether she could get a snack. The student then was evaluated by EMSA, but she did not need to be transported to the hospital. To contact campus police, call 405-682-1611, ext 7747.